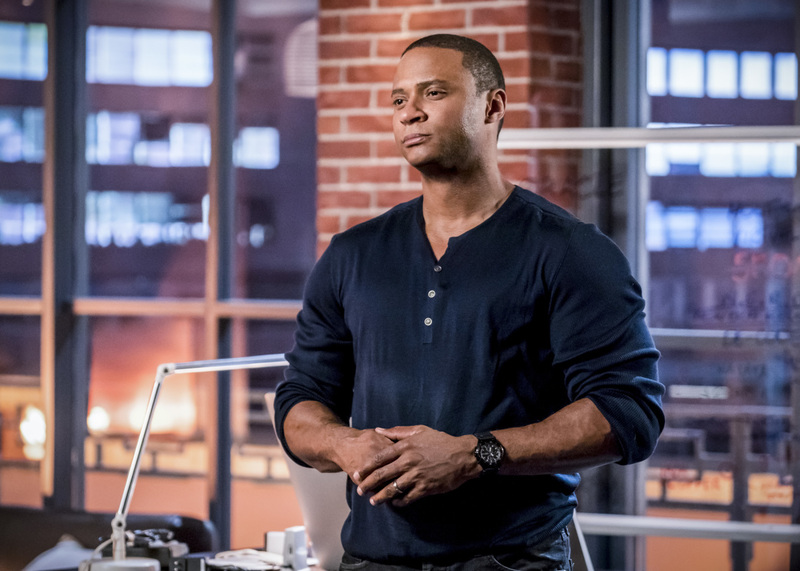 Episode 6×10 “Divided” — Despite losing half his team, Oliver (Stephen Amell) remains confident that he, Felicity (Emily Bett Rickards) and Diggle (David Ramsey) can stop Cayden James (guest star Michael Emerson) and Black Siren (Katie Cassidy). However, when he discovers one of Cayden’s secrets, he decides to team up with an unlikely ally. Meanwhile, Dinah (Juliana Harkavy) spends time with Vince (guest star Johann Urb). James Bamford directed the episode written by Ben Sokolowski & Emilio Ortega Aldrich. Air Date: Thursday, January 18 (9:00-10:00 p.m. ET) on the CW. Arrow -- "Divided" -- Image Number: AR610b_0216.jpg -- Pictured: David Ramsey as John Diggle/Spartan -- Photo: Daniel Power/The CW -- ÃÂ© 2018 The CW Network, LLC. All Rights Reserved.